John Jones, a Puritan, was elected to the House of Commons as the representative of Merioneth. During the Civil War Jones led the Parliamentary forces in North Wales. Jones married Catherine Cromwell, the sister of Oliver Cromwell. A staunch republican, Jones advocated the trial and execution of Charles I. On 3rd September 1658, Oliver Cromwell died. Parliament and the leaders of the army now began arguing amongst themselves about how England should be ruled. General George Monck, the officer in charge of the English army based in Scotland, decided to take action, and in 1660 he marched his army to London. When Monck arrived he reinstated the House of Lords and the Parliament of 1640. Royalists were now in control of Parliament. 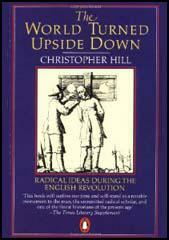 Monk now contacted Charles II, who was living in Holland. Charles agreed that if he was made king he would pardon all members of the parliamentary army and would continue with the Commonwealth's policy of religious toleration. Charles also accepted that he would share power with Parliament and would not rule as an 'absolute' monarch as his father had tried to do in the 1630s. This information was passed to Parliament and it was eventually agreed to abolish the Commonwealth and bring back the monarchy. In August 1660, Charles II and Parliament agreed to pass the Act of Indemnity and Oblivion. This resulted in the granting of a free pardon to anyone who had supported the Commonwealth government. 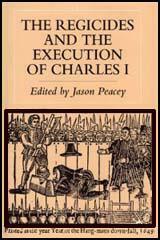 However, the king retained the right to punish those people who had participated in the trial and execution of Charles I. A special court was appointed and in October 1660 those Regicides who were still alive and living in Britain were brought to trial. 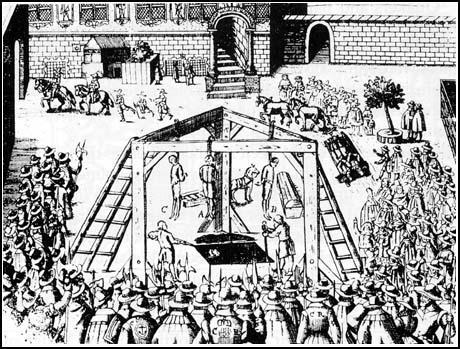 Ten were found guilty and were sentenced to be hung, drawn and quartered. This included John Jones, Thomas Harrison and Hugh Peters. Samuel Pepys commented that: "I went out to Charing Cross, to see Major-General Harrison, hanged, drawn, and quartered... he looked as cheerful as any man could do in that condition. He was presently cut down, and his head and heart shown to the people, at which there were great shouts of joy... Harrison's head has been set up (on a pole) on the other side of Westminster Hall." 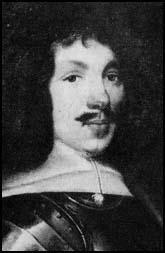 John Evelyn did not see the execution but arrived on the scene soon afterwards: "The traitors executed were Scroop, Cook and Jones. I did not see their execution, but met their quarters mangled and cut and reeking as they were brought from the gallows in baskets." Gregory Clement and Adrian Scroop in October 1660. Colonel John Jones who next appeared on this bloody theater, was a gentleman of a competent estate in North- Wales, and so well beloved in his country that he did considerable service to the public cause by his interest in those parts. He reduced the Isle of Anglesey to the obedience of the Commonwealth, and was soon after chosen to serve in Parliament for that place. He had been one of the Council of State, and in the year 1650 was constituted one of the Commissioners of Parliament for managing the civil affairs of Ireland. This trust he discharged during the course of divers years, with great diligence, ability, and integrity, in providing for the happiness of that country, and bringing to justice those who had been concerned in the murders of the English Protestants. When the Great Parliament was restored to the exercise of their authority, after the long interruption, they chose him to be one of those eight persons, to whom they committed the care of the public safety, till they could establish a Council of State. Of this also he was chosen a member, and soon after sent by the Parliament to his former trust in Ireland, where he continued till the late change. John Jones chose to marry Oliver Cromwell's sister... and had his hand in the murder of the king. This morning Thomas Scot, Gregory Clement, Adrian Scroop and John Jones were executed at Charing Cross.... Jones, the last to be executed... lifted up his hands as he was drawn upon the hurdle and at the place of execution... to gain the peoples' prayers. The traitors executed were Scroop, Cook and Jones. I did not see their execution, but met their quarters mangled and cut and reeking as they were brought from the gallows in baskets.